Maybe it’s karma. 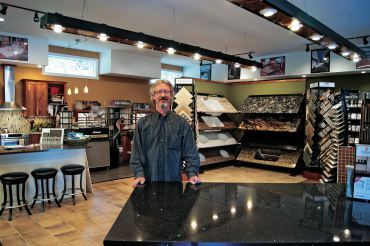 Bill Wyman is cool with that as an explanation for the success of his business, Creative Countertops, which marks its 10th anniversary this year. Regardless of how much good karma’s had to do with it, his enterprise has grown over a decade into a pretty impressive operation for an entrepreneur with a high school education. “Things are booming; we’re really busy,” says Wyman, who started the business on his own after moving from North Carolina to Kitsap County, where some of his wife’s family live. He now has 12 employees in the Creative Countertops showroom and adjacent 3,600-square-foot fabrication shop, located in a small industrial park on Stottlemeyer Road just north of Poulsbo. Not bad for a skinny dude with a passion for playing guitar who moved across the country and started working out of his garage, driving his van to Seattle to get supplies and materials, buying another tool after getting paid for each job. That gradually changed as he established relationships with some of the area’s top designers and contractors and built a reputation for reliable, quality work. 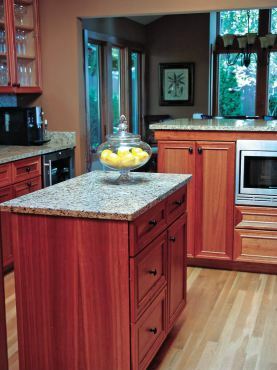 Bigger and more creative projects came along for Creative Countertops, leading to what Wyman says was a critical addition to his shop’s repertoire. 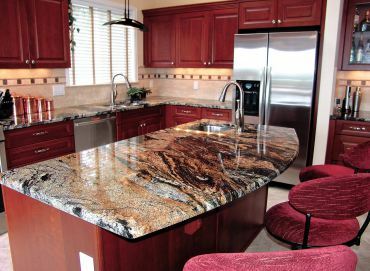 “We started getting a lot of phone calls about six or seven years ago from people asking, ‘Do you do granite? '” he recalls. At the time, Wyman was only making solid-surface countertops, primarily using Corian, and was not doing fabrication with any quarried stone. “Fortunately, I had recently hired an installer with granite experience,” he says. 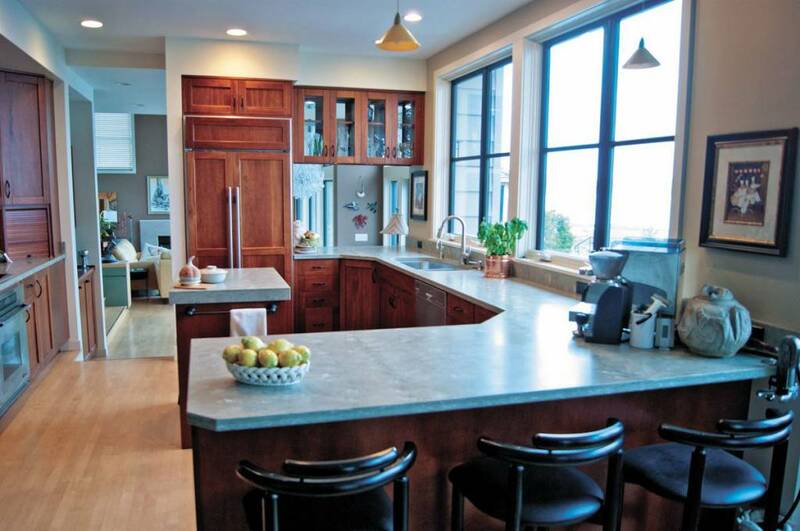 Expanding his fabrication shop’s capability to offer customers granite and quartz options — and more recently, tile — for their kitchen and bath remodels helped keep the business growing steadily. “I’ve seen Bill go from basically this garage setup in Suquamish to the really nice facility and showroom he has today,” says Bainbridge Island designer Molly McCabe, who owns A Kitchen That Works. She met Wyman in the early days of his business when she saw his sign while driving and stopped in to introduce herself. Part of the work is still the “boring” stuff, but it’s good for the bottom line. For example, Creative Countertops did the 50 rooms in Harrison Medical Center’s new orthopedic hospital set to open in the fall in Silverdale. The business also has gotten some big commercial contracts for installations in military housing. Plenty of projects tap into the creative side of the shop’s name, though, both for occasional commercial jobs and for the residential clients whose remodels make up the bulk of Wyman’s business. Working with an interior designer for Nordstrom, his shop has produced large, elaborate, circular tabletops made of marble that the retailer uses for special store displays. 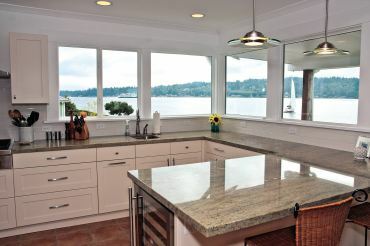 One such recent project was an extensive remodel for a pro sports team doctor when he and his wife bought a Bainbridge Island home. Some fortuitous occurrences have benefitted his enterprise along the way — which might be seen as karma, or coincidence. One was the closure of Brock’s Interiors (a Poulsbo store that sold flooring, cabinets and countertops) about five years ago, right around the time the Creative Countertops showroom opened. Also, Wyman says the landscape was entirely different for him as a fabricator half a dozen years ago, before the housing market collapse and recession took a toll on so many people in the construction industry. Whereas he used to get steady work from contractors doing new construction and major home remodels and additions when housing was booming, a lot of those operators didn’t last through the recession. 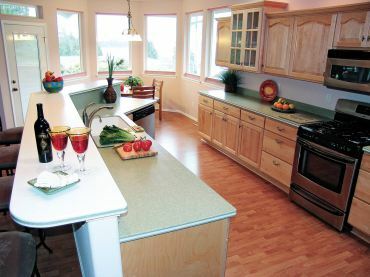 His business was fortunately situated, however, as during the down economic times a lot of homeowners shelved plans to buy a new house and instead opted for smaller remodeling projects — and installing new kitchen countertops is a relatively affordable way to create a whole new look in a home. That industry shift meant more of their jobs were booked directly with customers rather than as a subcontractor, but connections within the local building community are still important. “Our name’s been out there for a long time, so we’re kind of the go-to for a lot of contractors and designers in the county,” Wyman says. Judy Gates, who operates Joe Gates Construction with her husband, says a lot of homes their Poulsbo company has built have countertops from Wyman’s shop, as do many homes and remodels for clients of their other business, a UBuildIt franchise. “We really have to have reliable suppliers and subcontractors, and it’s real important to have people who work well not only with us as a contractor, but with people who are basically owner-builders,” she says. Her first impression of Wyman when he was starting out was as someone “so low-key” that he didn’t seem like an ambitious entrepreneur who would develop the thriving business he has today. That’s echoed by repeat customers Pat and Morley Farquar of Kingston. 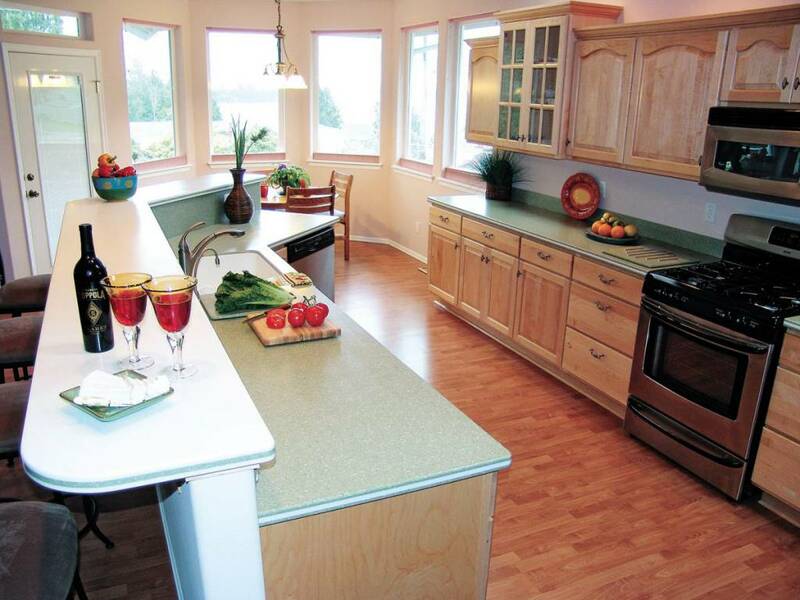 Creative Countertops has done extensive remodeling in two homes the retired couple have lived in since moving from California four years ago, and they’ve enjoyed getting to know Wyman in the process. On the first project, “he took out a major granite countertop system and put in Corian, because my wife doesn’t like granite, especially black,” Morley Farquar says. Being personable was a quality that no doubt helped Wyman — who’s 58 but doesn’t look it — during an earlier career, when he was a door-to-door insurance salesman for several years in a mostly rural area of North Carolina. He was a fabricator at a large manufacturer in North Carolina for about 10 years before pulling up stakes to move to Kitsap County. He spent his first year out here working as an estimator for a big countertop company in Seattle to get a sense of the local market before going into business for himself. Those other two careers? After graduating from high school in Virginia, he got a factory job as a forklift driver. Then for the first half of the ’80’s he was living the dream as lead guitarist in a rock band. A highlight was a concert tour in Europe playing at U.S. military bases around the Mediterranean. Even though that stretch was the only time Wyman made his living as a full-time musician, he says his love of playing guitar has been a constant ever since he, like a lot of young baby boomers, was enthralled seeing the Beatles perform on “The Ed Sullivan Show” in 1964. The next year, his mom splurged on buying her 10-year-old prodigy a used Rickenbacker, the same kind of electric guitar the Beatles played. 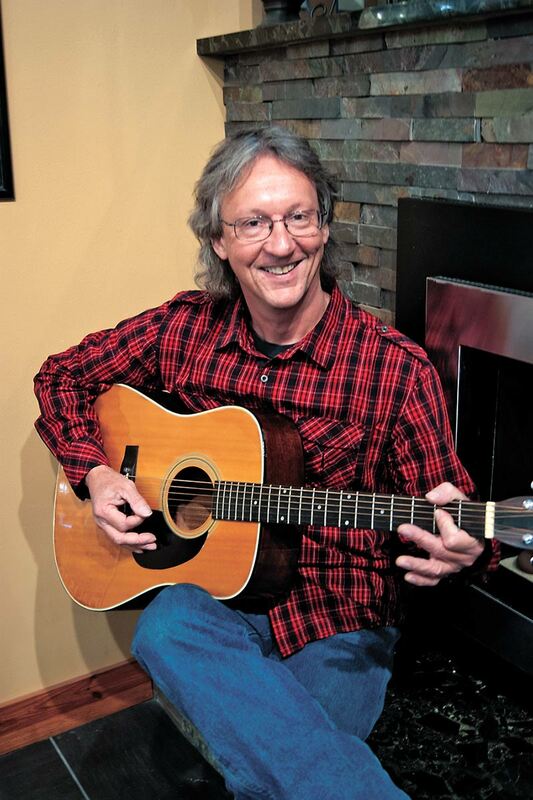 Wyman still has the guitar, but keeps it at home as a classic piece of his past. 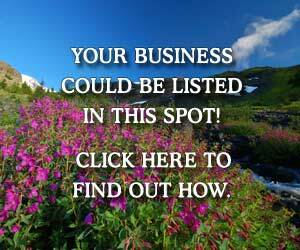 He’s been in a number of bands over the years, but he took a hiatus when he was starting up his business in 2003. McCabe says she urged him to get back into playing music a few years later. Wyman did, accepting an invitation to join a cover band called Shark Sandwich that regularly played Kitsap-area gigs until the female lead singer moved away last year. By then Wyman had started another band, Down Goes Frazier, and he co-writes most of the group’s original material. The band released a self-produced debut CD titled “Perspective” earlier this year, and in August it was ranked No. 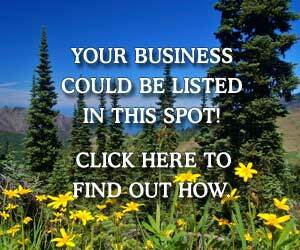 2 on the list of top Seattle-area artists on ReverbNation, an indie music promotional website. Wyman’s band got the chance to perform this summer at a couple of popular Seattle clubs — Studio Seven and the Hard Rock Café. Of course, this businessman/guitarist isn’t the only longtime rocker named Bill Wyman — that’s also the name of the bass player for an outfit called the Rolling Stones. The local Wyman and his wife, Mary, saw the Stones in concert at a Las Vegas casino in May. That was a few weeks after the couple’s 25th anniversary. Though his wife isn’t directly involved with running Creative Countertops, Wyman says she “has always helped me make the big decisions,” starting with the decision to move across the country and start a business. Wyman’s had some fun travel opportunities the past few years as a board member of the National Kitchen & Bath Association, attending NKBA’s annual trade show that was held in New Orleans, Chicago and Las Vegas during his three-year board term that concludes this year. 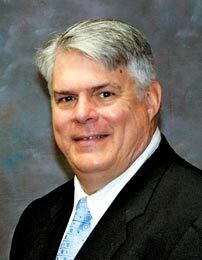 A charter member in the Olympic-West Sound Chapter, Wyman was elected to the national Advisory Council of Fabricators that was created in 2010, and that group chose him as its representative on the NKBA board of directors. He also was invited on a 2011 trip to Brazil to visit a granite quarry and factory connected to the Cosentino Group, a global supplier of ornamental stone and the manufacturer of Silestone, a countertop material that is 94 percent quartz. 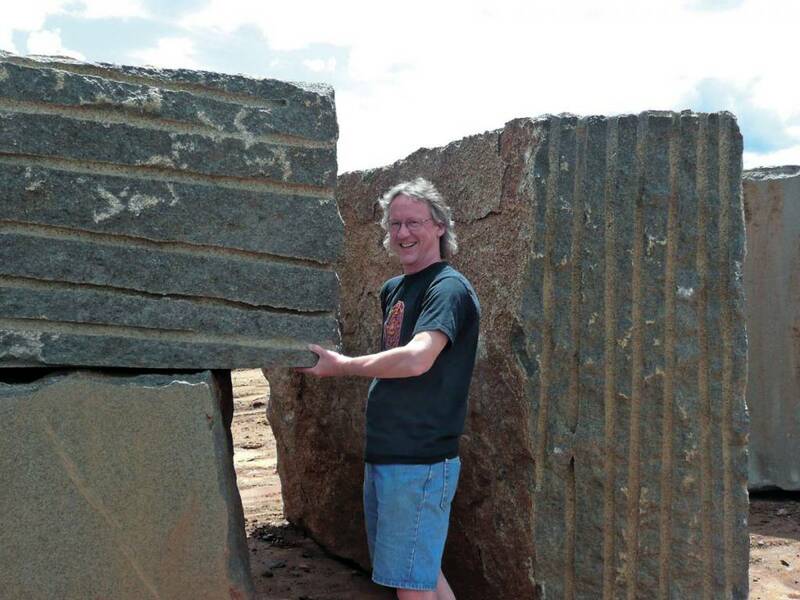 Wyman attended an international stone trade show on that trip and sent home a sizable souvenir to his Poulsbo business — 42 granite slabs from the factory. 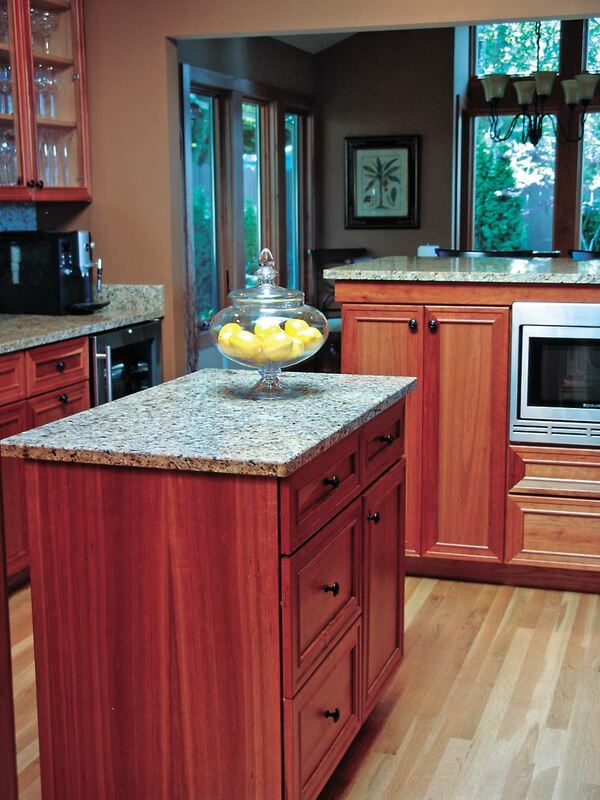 Whether a countertop installation is done with granite, quartz (the top-rated kitchen counter surface by Consumer Reports, Wyman likes to point out) or any other material, Creative Countertops only charges customers for the material needed for the job, so often there are sizable pieces left over. The business has an ongoing remnant sale outside the showroom, with the stone slabs displayed on racks Wyman built to make it easy for customers to browse the discounted granite and quartz. He says bargain hunters usually can find a piece large enough to do a bathroom vanity or similar-size project, and selling the remnants has proved very popular and “has been a big shot in the arm” for the business. In addition to Corian and stone surfaces, Wyman touts the work his crew does with tile as well. “We have a running joke that every time we send clients out to see Bill, the first thing he does is say, ‘Let me take you in the bathroom’ to show them the tile,” Gates says. 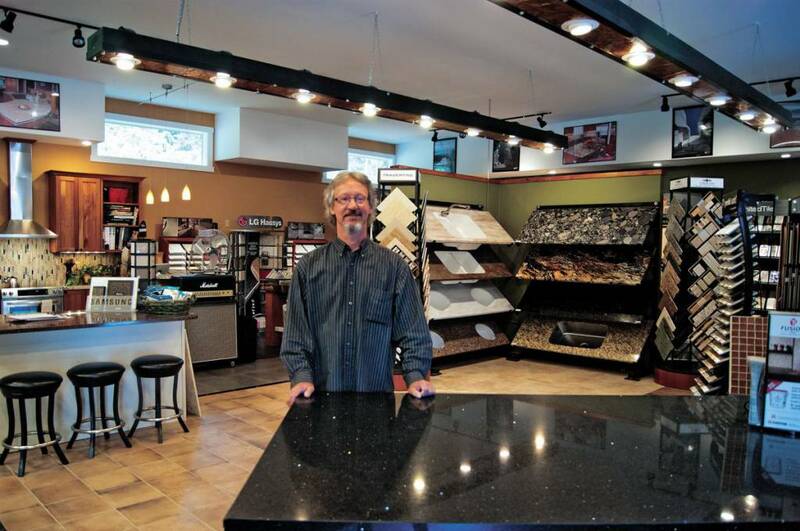 Whatever a customer’s preference of materials, Wyman says he’s tried to make his showroom a “one-stop shop” for kitchen and bathroom counters, sinks and fixtures, shower surrounds, even mantels and trim for fireplaces. Wyman was “a hands-on fabricator for 15 years,” though he no longer labors in the shop cutting sink openings and smoothing seamless joints. His time is mostly spent bidding jobs and managing the operation. He also has time to enjoy some side projects, like restoration of the shiny, red 1954 Chevy panel van that customers might see parked by the showroom entrance. One of the savviest things he has done for his business, McCabe notes, is to assemble a crew that’s very competent working with the various materials. “He’s got some really fabulous people in his shop,” she says. “Bill’s a great guy, but he doesn’t need to be as hands-on anymore. He knows solid surface inside and out, and backwards and forward. And he’s hired and retained some people who really know stone well. 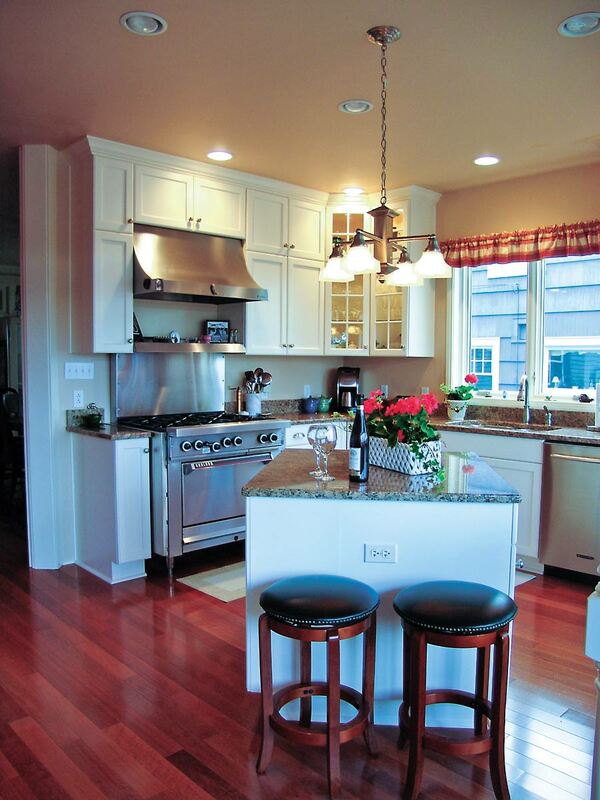 Wyman’s shop not only has done plenty of work for clients of McCabe and Gates, but also for their own homes. 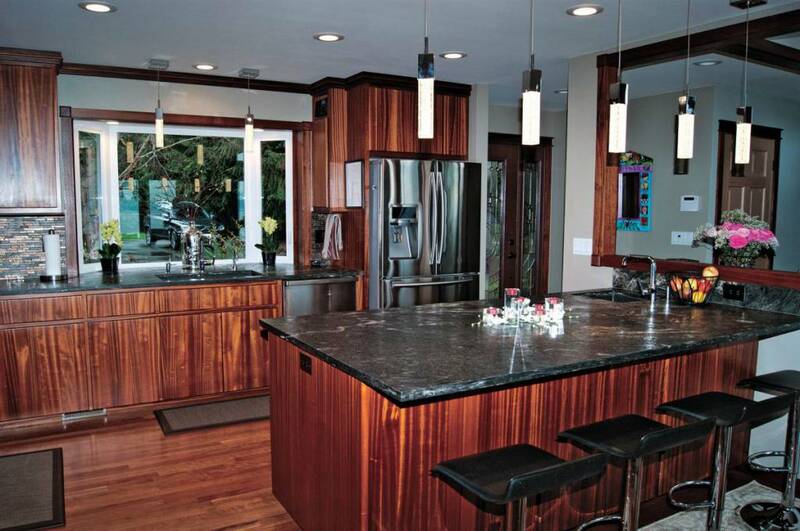 The full-blown renovation of McCabe’s house included recycling solid-surface countertops from her family’s previous residence, as well as 70 square feet of new quartz countertop in their kitchen. 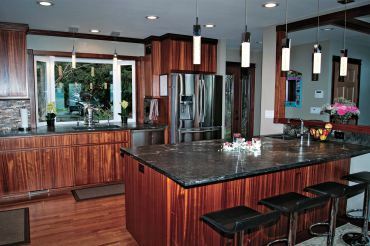 With a decade behind him as a business owner, Wyman expects to keep rockin’ at Creative Countertops for most of another one. He still gets jazzed about new design trends and materials, like when he shows a visitor a sample of translucent onyx used in backlit surfaces. He has no children to take over the operation, so he expects he’ll sell his business eventually, and he’s positioned it well for when that time comes. 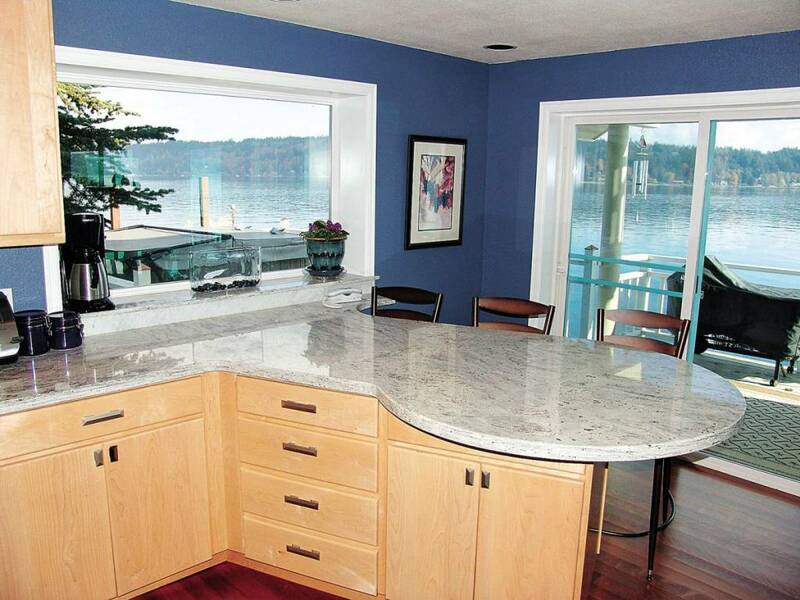 “Countertops have been very good to me,” he says.